Other photos: Truly Fine - Dockside, Truly Fine - High Gloss Shine, Truly Fine - Port Side, Truly Fine - Stern, Truly Fine - Starboard, Truly Fine - Deck, Truly Fine - Bow, Truly Fine - Deck, Truly Fine - Sunset, Truly Fine - Helm, Truly Fine - Helm, Truly Fine - Helm, Truly Fine - Outside Seating, Truly Fine - Outside Seating, Truly Fine - Outside Bar, Truly Fine - Cooktop and Appliances, Truly Fine - Salon Sofa, Truly Fine - Salon Sofa, Truly Fine - Galley, Truly Fine - Galley, Truly Fine - Galley, Truly Fine - Master Stateroom, Truly Fine - Master Stateroom, Truly Fine - Master Head, Truly Fine - Guest Stateroom, Truly Fine - Guest/Day Head, Truly Fine - Electrical Panels, Truly Fine - Engines, Truly Fine - Transmissions and Fuel Filters, Truly Fine - Batteries, Photo 31. Transferable Brunswick Legacy Protection / Coverage until January 2020! 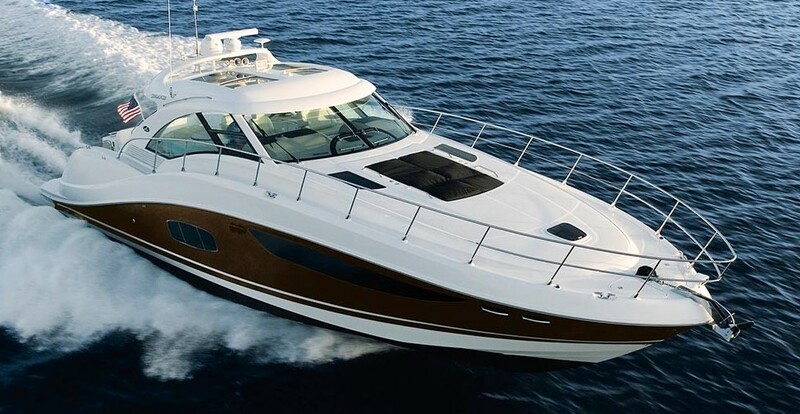 Truly Fine is a lightly used and well equipped Sea Ray 540 Sundancer. She has the optional Cummins 715HP engines with Zeus pods and Skyhook, only 450 hours, all services up to date. SYS Yacht Sales is pleased to assist you in the purchase of this vessel. This boat is centrally listed by David Walters Yachts.